Inside Housing - Insight - Reality check: why are housing associations not building more social rented homes? Reality check: why are housing associations not building more social rented homes? Google the words ‘housing associations’ and ‘social purpose’ and it doesn’t take very long to work out that some commentators think the former are not delivering on the latter. In the past few years, opinion pieces from across the political spectrum have questioned just how effectively these organisations are performing. Headlines such as ‘Housing associations have lost their way’ (The Guardian), ‘How can housing associations reconnect with their social purpose?’ (New Statesman) and ‘Why housing associations are the true villains of the property crisis’ (The Spectator) provide a representative flavour. At their most basic, these op-eds suggest associations could be doing more to tackle the housing crisis. This week, one landlord – 20,000-property Network Homes – has decided to tackle these accusations head on. In a new report (see below), provocatively titled Why Aren’t Housing Associations Building More Social Rented Homes?, it raises its head above the parapet to lay out its own statistics and strategy for public view. The report says it does so because arguments that associations have become too commercial and are making excessive surpluses are “damaging the reputation of housing associations”. It says this feeds “into a wider narrative, partly brought to the fore through the Grenfell Tower tragedy, which suggests residents and stakeholders are beginning to lose trust in social landlords”. Inside Housing travelled to Network’s headquarters, a stone’s throw from Wembley Stadium in north London, to meet up with Helen Evans, its chief executive, and Simon Graham, its director of strategy, research and communications, to find out why they feel they need to speak up; and ask whether Network itself could be building more social rented homes. Network’s report starts by analysing the costs of building homes during the 2008-11 funding programme and the 2015-18 funding programme. It found that on average the cost to build each home has increased by 42% – or £85,000 – to £285,000 per home in less than a decade. While costs have been rising, government grant has, of course, been heading swiftly in the opposite direction. Today it receives an average of £33,600 in grant per home, compared with £102,641 in 2008-11. That translates to grant covering 12% of the cost of a home today, compared with 51% in 2008-11. What this means, according to Network, is that each subsidised affordable home built today costs it on average £250,000 – paid for through loans, reserves and sales income – compared with £100,000 seven years ago. Even with the existing constraints, however, just how high is Network managing to jump? It says that it has made combined surpluses of £251m in the past three years and reinvested £232m back into building new homes. But it is the type of housing it is delivering that is of most interest to the outside world. In 2017-18 it says that 38% of its completed homes were for “genuinely affordable rents” (which it defines as social rent, London Affordable Rent, London Living Rent and Section 106 restricted rents). It does not include the government’s affordable rent product, which allows landlords to set rents at up to 80% of the market rate, among its “genuinely affordable” homes. When these are factored in, 79%, along with shared ownership, of Network’s 3,000-home pipeline will be affordable. In order to reach current delivery levels, it says that its borrowing from banks and other investors has jumped from £665m in 2014 to £859m in 2018. That rate of increase (a 29% hike in just four years) is, it believes, “not sustainable long term”. Ms Evans says that along with countering the suggestion that housing associations have abandoned their social purpose, she also hopes the report points out to government that “there are limits to what can be done on this financial model and once those limits are hit then something else has to be arrived at”. Even so, what does she think Network’s delivery of 38% genuinely affordable rented homes says about it? Could it not be doing more? Ms Evans says she thinks Network has currently got the balance right – but adds that it has made a decision not to focus exclusively on people with the greatest need. 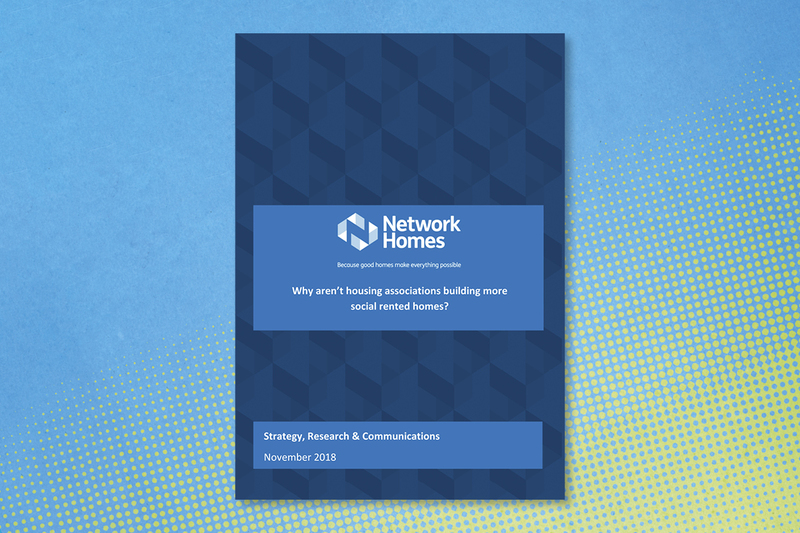 Source: Network Homes' report Why aren't housing associations building more homes? Network thinks this spread is legitimate “morally to assist people whose housing needs will not otherwise be met”, she adds. Even within the constraints of the system, all of this is still a choice, of course. 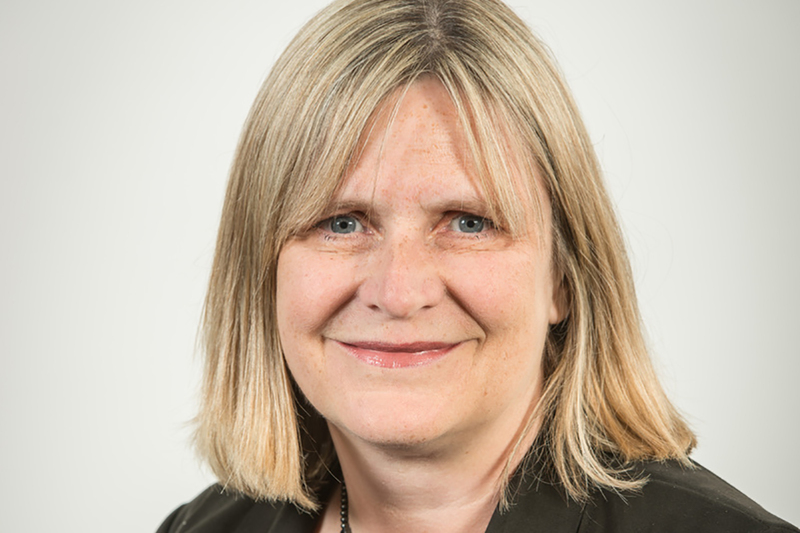 “If our mission is to alleviate housing need, are we better doing very deep subsidy for a smaller number of people, or a lighter level for a much larger number of people?” Ms Evans asks. For its report, Network analysed seven schemes from its current housing programme, and worked out that it would need to find an additional £81.4m in funding from borrowing, reserves or other sources, a weighted average of £162,820 per home, on top of existing subsidies to convert every home to social rent levels. Scaled up across its whole 3,000-home secured development pipeline, the additional subsidy would be nearly £500m, it estimates. If the sector built 100% of homes at social rent levels under the current funding system “you would see it all come grinding to a halt within a period of time”, he adds, because the sector would then be restricted by its borrowing covenants. Even with the current split between tenures the overall funding system needs to change, Network’s report argues. This isn’t a call for the government to simply put more money into the system, however welcome this would be. The report suggests that the biggest problem of all is the rising “input costs of new housing”, such as the price of land, labour and materials. A grant rate of £80,000 per home would still leave Network searching for upwards of £200,000 per home. While the study stops short of suggesting solutions to this dilemma – the organisation is carrying out further research – it does suggest that tackling the price of land is at least as important as upping the grant rate (unless the government decided to pump in a very substantial amount of additional resource). These are all issues that the government needs to address, if it is to meet its housing targets, Ms Evans suggests. “I think there is a general understanding that for quite a number of providers which have been developing consistently over several years that the cross-subsidy model is delivering to its maximum capacity,” she states. For now, though, Network hopes that the new report will help to challenge the notion that associations have lost track of their social mission. Ultimately, the report makes some detailed suggestions about why housing associations aren’t building more social rented homes. If, as Network suggests, they could and would if it wasn’t for other constraints, then the conversation quickly needs to move onto the question of ‘how?’. Previous Article The year ahead: what’s on the radar for housing in 2019?